Las Vegas shows for kids in 2019 aren't easy to find, but they do exist! If you are wondering what to do in the Sin City with children, read my reviews of current great fun family friendly shows, created specifically for or appropriate for young children. The following shows are good for kids under 5, even as young as 2-3 year old, and they are quite affordable. Review: WOW is one of the more entertaining and intriguing new family friendly shows in Las Vegas to hit the Strip in many years. 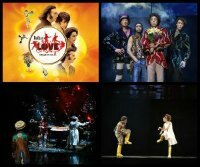 Performing at the Rio Showroom this 90-minute production brings something to the stage that is sure to please your senses. WOW is packed with more than 30 artists who will tumble, dance, fly through the air and stun you with their acrobatic skills. You will be delighted with the multi-media effects that include holograms, water walls and 3D projections during a production that features everything on the cutting edge. 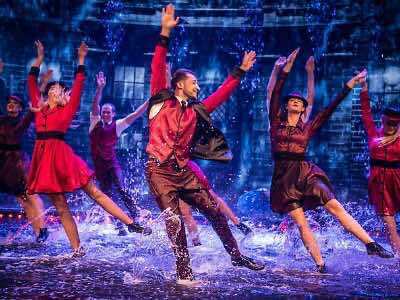 The performance has already been seen by more than 2.5-million people around the world and there is no better place to bring this spectacular choreographed show to the stage than Las Vegas. WOW is a perfect way for travelers and families to spend an entertaining evening of star studded performances that will leave everyone with a smile. One of the best new shows to hit the Strip is Celestia which combines the beautiful world of love and sacrifice with unbelievable artistry. 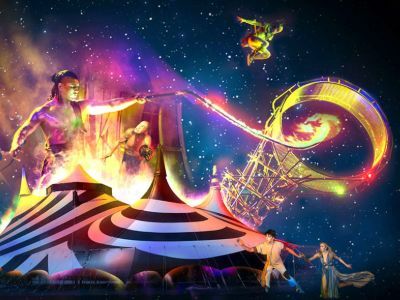 Performing at the Celestia Theatre Tent within the Stratosphere Hotel and Casino, Celestia is a magical ride through a mystical world created by former Cirque du Soleil director Sasha Ivanov. 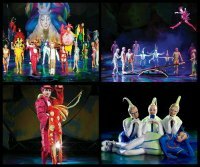 The 90-minute Las Vegas family show is breathtaking with numerous aerial feats, stunning acrobatics and unique contemporary dance steps that leave the audience in awe. The 32 international artists come together to bring a dazzling show that includes intricate hand balancing acts, high-flying twists and body contortions which will blow your mind. Guests are amazed at the dancing skills of fire eaters as they prance along a smoke filled stage while artists gracefully balance on balls, rings and each other’s bodies. 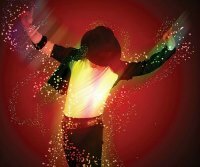 The choreography is enhanced with a state-of-the-art multimedia system that includes everything from video screens to LED to lasers. 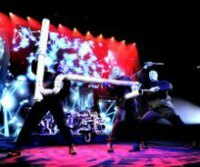 The show is a perfect mixture of showmanship and stunning artistry capped by tasteful music which brings the spirit of the guests to a mesmerizing state that leaves people speechless. Reviews: The Tournament of Kings is a dinner show at the medieval castle-themed hotel Excalibur. 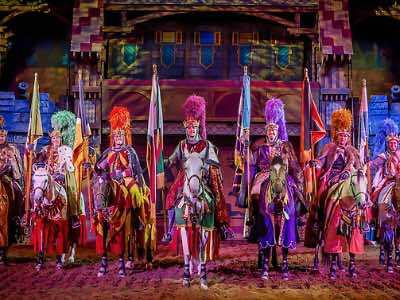 Accordingly, the show is themed as a medieval tournament of knights jousting at the arena. The spectators are part of the show, as they are consuming their dinner with bare hands around the arena and cheering the knights. The show is silly, unpretentious and its one of the most fun Las Vegas shows for kids, especially little boys who love castles and horses! The Comedy Pet Theater will definitely make your kids laugh! 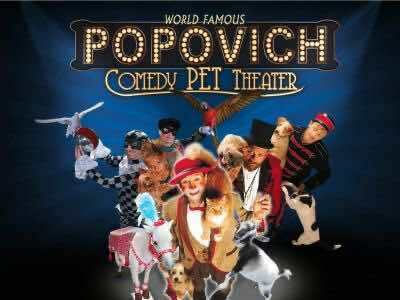 Everyone knows that dogs can do tricks, but you wouldn't believe what regular pet cats can do when they are trained by Gregory Popovich! Little cuddly house pets are true stars in this show - they perform various "scenarios" from the "human" life - they pretend to be firemen rescuing each other from the fire, they play doctors-patients, they skip with a skipping rope and push strollers. The show also features a few trained geese and doves, and of course Gregory Popovich himself! 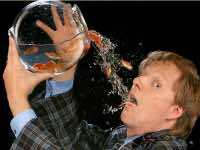 Comedy Pet Theater is truly one of the best Las Vegas shows for kids in 2019! 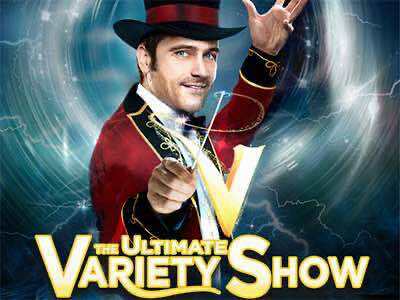 Reviews: V-The Ultimate Variety is a high energy show perfect for all ages. The show is funny and entertaining, featuring gymnasts, acrobats, jugglers, and never before seen performances. The show features raw talent, with many acts having been featured on America's Got Talent and I Can Do That! It's definitely a nice way to spend an evening at a very low price. 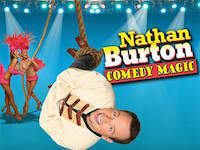 It's one of the most fun Las Vegas shows for kids in 2019 in the variety genre! The Circus Acts is one of the best free family friendly Vegas shows ever! If you have little children, you should definitely take them to the Circus Circus hotel any day during your vacation, at 11:00 am. The show features acrobats zooming under the ceiling, skillful roller skaters, jugglers. Heads up:This amazing fun happens in the middle of Circus Circus Midway, so your kids would probably want to stop for some age-appropriate "gambling". Finally, don't forget to check half price show tickets for any cheap Las Vegas shows for kids! 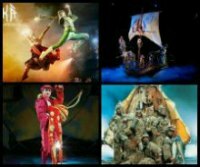 Most Cirque du Soleil shows in Vegas are family friendly and appropriate for children older than 5, as well as for teens and tweens. Most magic shows in Las Vegas are kids-friendly, and can be enjoyed by entire family! Here are a few more Las Vegas shows for kids and entire family, including teens.